First up, some progress reports. 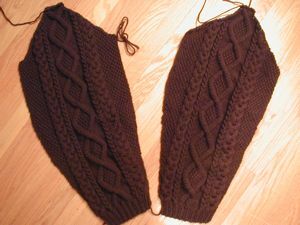 Must Have Cardigan sleeves – I’m about 4″ into the back now. 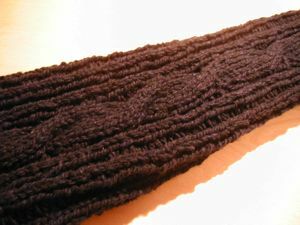 I finished one sleeve of my cabled ribby, and am working on the second one. This one goes nice and fast! 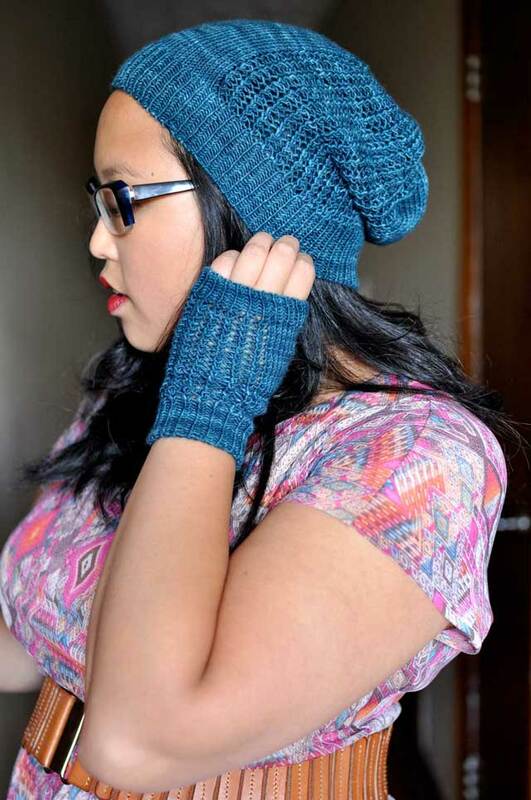 Thank you, size 10.5 needles. 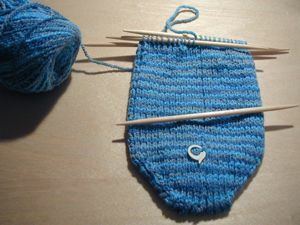 I started a sock for my sister, with Elann Esprit. 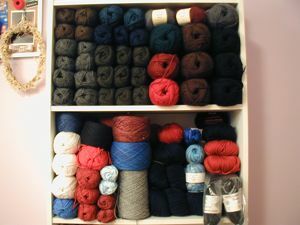 I reorganized my yarn, incorporating all the Highland Wool I’ve gotten from Elann (it’s on the top shelf, on the left). All I can say is….oy. 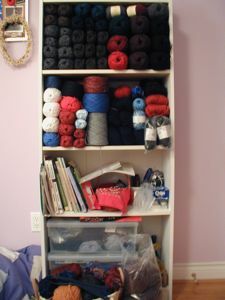 I’d better go knit now.